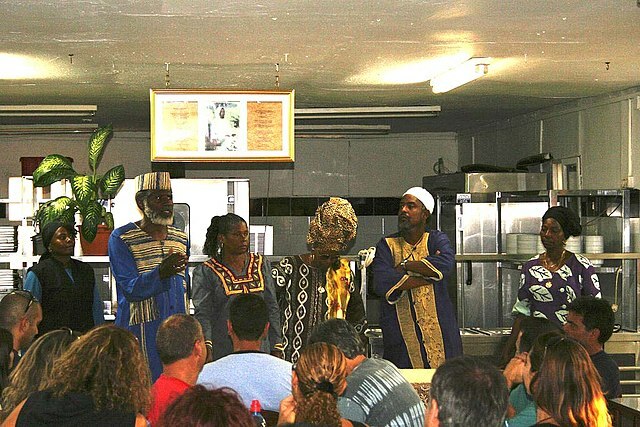 A visit in the Black Hebrews community of Dimona. The photo is taken in the community vegetarian dining hall. This image, originally posted to Flickr, was reviewed on 7 June 2007 by the administrator or reviewer Ranveig, who confirmed that it was available on Flickr under the stated license on that date.